This past week I was in Ukraine on a work trip. On the night we arrived we went for a meal and had some really tasty bread. 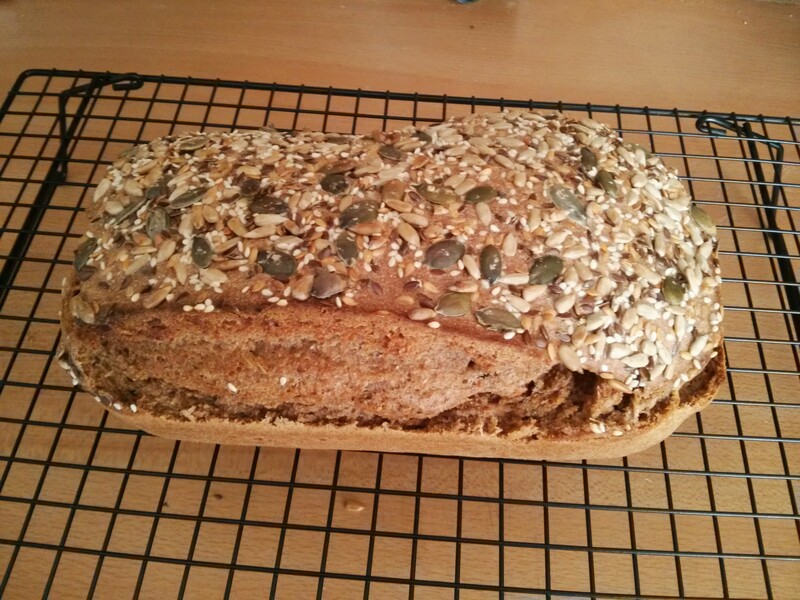 It was a dark malty load, with a strong anise flavour,so I’ve decided to try and add those flavours to my rye sourdough. 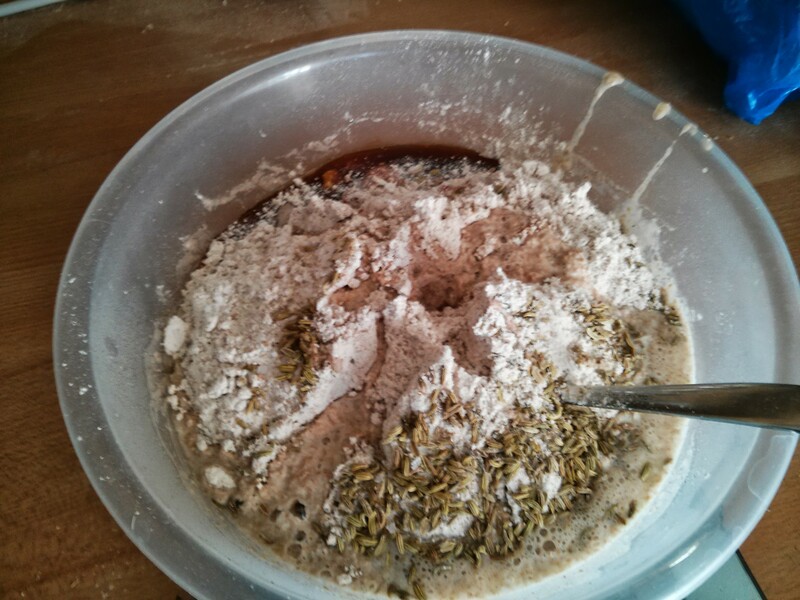 To the normal starter, I added more rye flour and water, plus spelt flour, as well as 1 tablespoon of malt extract and a tablespoon of toasted fennel seeds. For some reason this load exploded while cooking! At the moment the loaf is still cooling, and I’m resisting the temptation to slice into it. I’ll update with another pic once I slice into it. 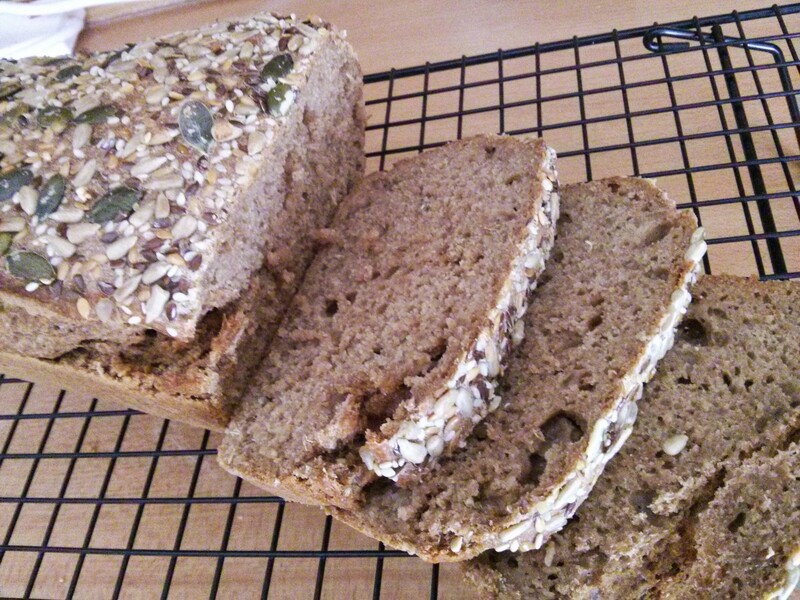 It has a good crumb :) Nice aniseed flavour; not much malt though. I’ll have to work on that. This loaf looks to be just the correct texture. Strange to recall that when I was a kid (many moons ago) we were all given a spoonful of malt extract to supplement our diet – after wartime rationing. Cannot remember now whether we had that spoonful of malt every day or less frequently.